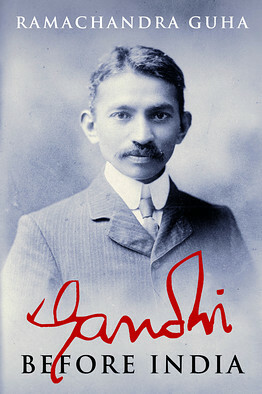 Gandhi on Non-Violence was first published in 1965. It would be hard for any book on Gandhi not to be full of Gandhi’s own seemingly rather intractable views on non-violence as well as the author’s views, either in support or not, of the activist. The author, Thomas Merton (1915-1968), was well-known in the fields of spirituality, philosophy and social justice. In this book he brings forth a collection of Gandhi’s quotes on non-violence along with a couple of essays with his own views, mainly in support of Gandhi and non-violence as a doctrine. “There’s lots and lots, including the characters—they’re very important. I wrote a piece in the Financial Times times two weeks ago, [‘Gandhi’s Formative Years’, 20 September 2013] which… was about the laws of biographical writing. One of the laws I’ve arrived at through my studies is that a biography is only as good as its portrait of the secondary characters. And the secondary characters of his South African phase are incredibly fascinating in their own right. They shape and mould him too, but they are forgotten. We know about the characters of his Indian phase; we know about his political followers like [Vallabhbhai] Patel and [Jawaharlal] Nehru, his spiritual followers like Mira Behn [Madeline Slade], and his antagonists like [Muhammad Ali] Jinnah and [BR] Ambedkar.